Sarasota County staff members called off a second informal meeting with city staff on the topic, but they have suggested the City Commission consider an alternative process for resolving a dispute over a final county payment into the Downtown Sarasota Community Redevelopment Area (CRA) Trust Fund. 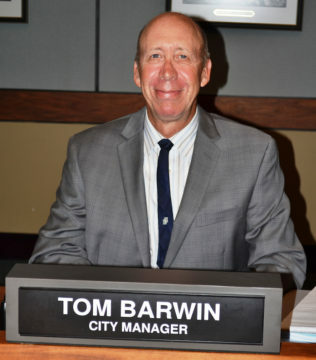 That was the news City Manager Tom Barwin delivered to the City Commission on Feb. 21. 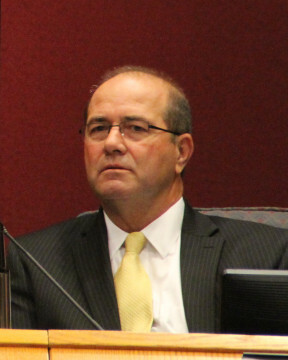 After Barwin met with County Administrator Tom Harmer on Jan. 26, a second session was set for Feb. 14, county staff told The Sarasota News Leader earlier this month. That follow-up meeting was to have included representatives from the offices of the City and County Attorney, Barwin pointed out during the City Commission’s Feb. 21 regular meeting. However, the first full week of February, Barwin continued, he received an email from county staff that cancelled the Feb. 14 session. It also said that before a second discussion could be held, county staff wanted the City Commission to approve a resolution that would specify the city would forgo pursuing the Florida Governmental Conflict Resolution Act in regard to the CRA disagreement, Barwin pointed out. Last year, city staff produced documentation showing its records indicated the county would owe one last payment of about $4.5 million into the Downtown CRA Trust Fund. However, county staff has provided its own records to support its argument that the 30-year life of the Trust Fund ended in 2015. The County Commission approved a resolution to that effect in September 2015, as part of its adoption of its 2016 fiscal year budget. Since late last summer, Barwin and City Attorney Robert Fournier have talked with the city commissioners about utilizing the state conflict resolution process to resolve the matter. Therefore, Harmer added, he had asked DeMarsh to prepare a draft agreement for that alternative process. He attached a copy of it to the email. During the Feb. 21 City Commission meeting, Barwin said he and Fournier had discussed the email and the draft resolution. He believed they could come back to the board at its next regular meeting, he added, to hold a formal discussion on the document. The commission’s next regular session will be on March 6. No commissioner offered a comment when he concluded his remarks. The draft county resolution points out that on Oct. 10, 2016, the city submitted “a request for payment of tax increment revenue in the amount of $4,786,431.00 to the Community Redevelopment Trust Fund …” The document goes on to suggest “dispute resolution meetings” at times and places “mutually agreeable” to the city and county representatives, with both authorized by their boards to make settlement recommendations. Both commissions would have to approve any resulting proposal for an agreement.